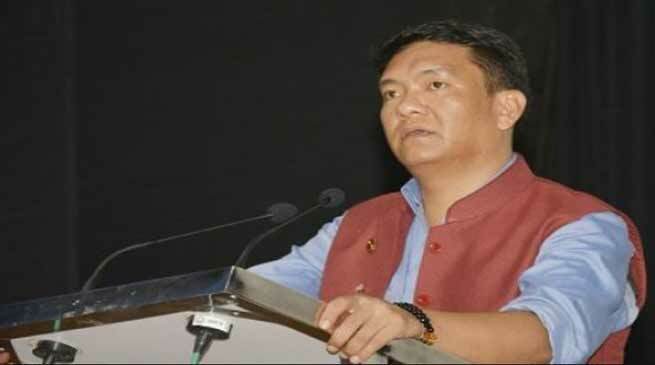 Chief Minister Pema Khandu today assured that the state government will consider views and suggestions of every stakeholder through wider consultations with regard to the Arunachal Pradesh Freedom of Religion Act 1978. In the first of consultations, held today with the Indigenous Faith and Cultural Society of Arunachal Pradesh (IFCSAP), the Chief Minister reiterated that the state government will stick to its secular principles and therefore consult with every stakeholder before taking any decision on the Act. “This is a government of the people and every decision taken will be in consultation with the people,” he said. The Chief Minister also observed that the said Act needs to be studied in detail to understand its implications, which at the outset does not discriminate any religion but actually safeguards the secular spirit of the Indian Constitution.